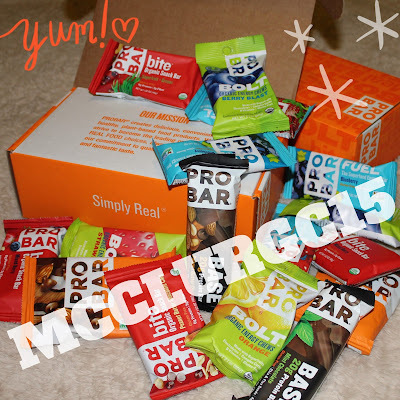 It's been a couple weeks since my last PROBAR product review, so I figured it was about time (not to mention I have run through all of my BITE bars so it was sort of obvious that I needed to get this one up). First up - Peanut Butter Chocolate Chip. I don't know why, but any time I see that type of combo I am drawn to it (it's sort of like a match made in heaven). 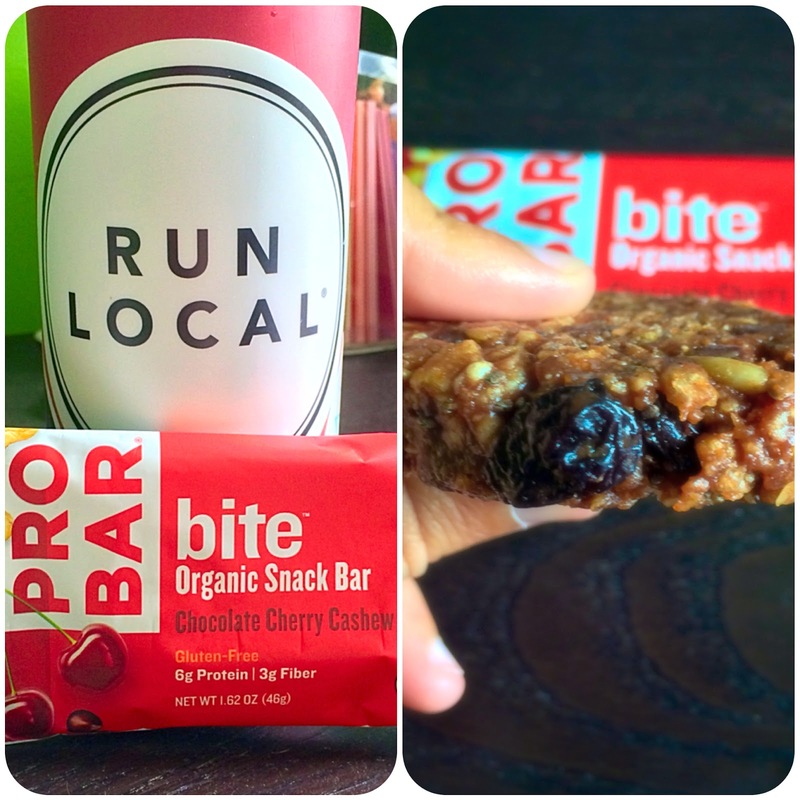 I grabbed the BITE bar before a Twitter chat (gotta keep my energy up, I mean have you ever sat in on one before?! They FLY!). 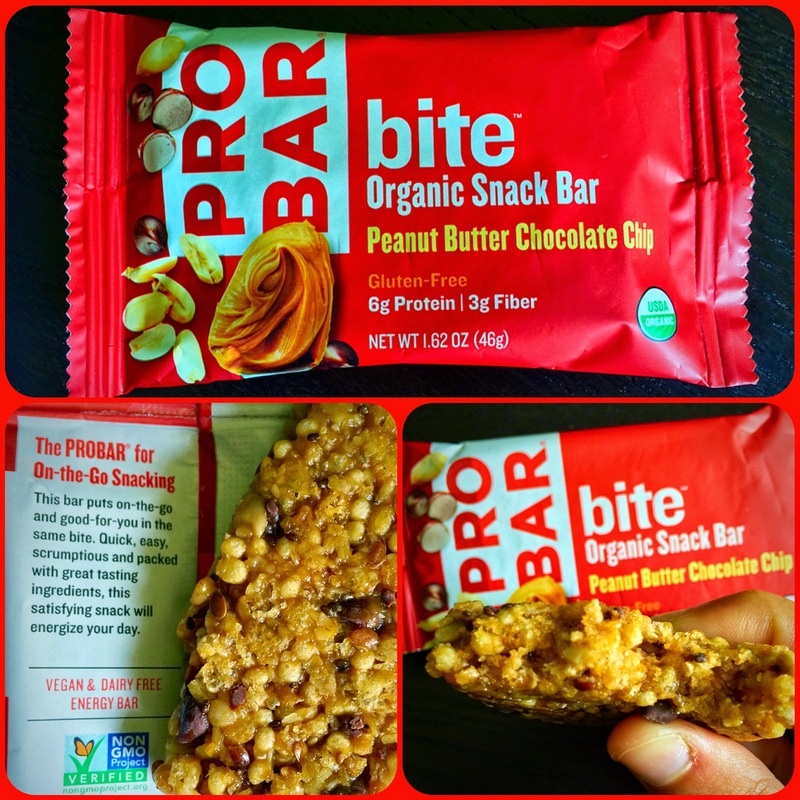 The way I would describe the bar is about palm sized (so a little smaller than say a Clif Bar for comparison), scum-didily-umptious, and sort of like a delicious rice crispy treat. 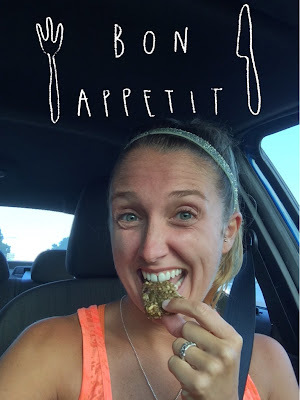 I think it is the "crisp brown rice" that makes me think of those snap, crackle and pop guys ;) I love that not only does it taste good, but it is good! A few days ago I grabbed my Mixed Berry BITE bar for an afternoon walk with Walt. I almost didn't get a shot (and I'd say the one I did get isn't the best since Walt is the thing in focus and NOT the bar, but have you ever tried to wrangle a wiener dog while taking pictures, it's tough stuff! ), but don't you worry - I at least got proof I had the bar with me on the walk/ exploration. Strawberries and blueberries - oh me, oh my! Next up for the taste buds was the Chocolate Cherry Cashew BITE bar. That just sounds yummy, right?! I had to bust into this one day during an afternoon work shift (I workout in the morning before my shift and that runger is REAL! I normally reach for an apple, carrots, or some type of bar.). I love me some nuts (hey now, get your mind out of the gutter), so was thrilled to see big pieces of cashews in the bar. And, um.... the cherries! There were chunks of dried cherry in the bar (instead of just cherry "flavoring") and LARGE ONES AT THAT! I MUCH appreciated them! Like I mentioned previously, the bar has an airy type crisp in the bar, but I enjoy it. I think I would prefer more of a chocolate chunk in this one, as opposed to chips, but hey, beggars can't be choosers. I brought the Superfruit & Greens flavor with me after my FIRST EVER spin class last week. The class was from 5:30-6:30, so I didn't want to eat dinner or anything beforehand (especially since I was already a bit nervous), but knew I would be hungry for a little snack before I got home to eat a full meal. I don't know if I was just famished from the workout or what, but man I think this is my favorite flavor! It was fruity, yet chocolaty at the same time. The only complaint I had was that it wasn't bigger because it was gone before I knew it (but I guess with the name "bite" you shouldn't be expecting something huge). Don't worry, I was stopped at a traffic light while taking this picture! I didn't get the Coconut Almond or Peanut Butter Crunch flavors in my haul from PROBAR (don't they both sound amazing though?! ), but if I see them when I am out and about I wouldn't hesitate to grab them and give 'em a go! 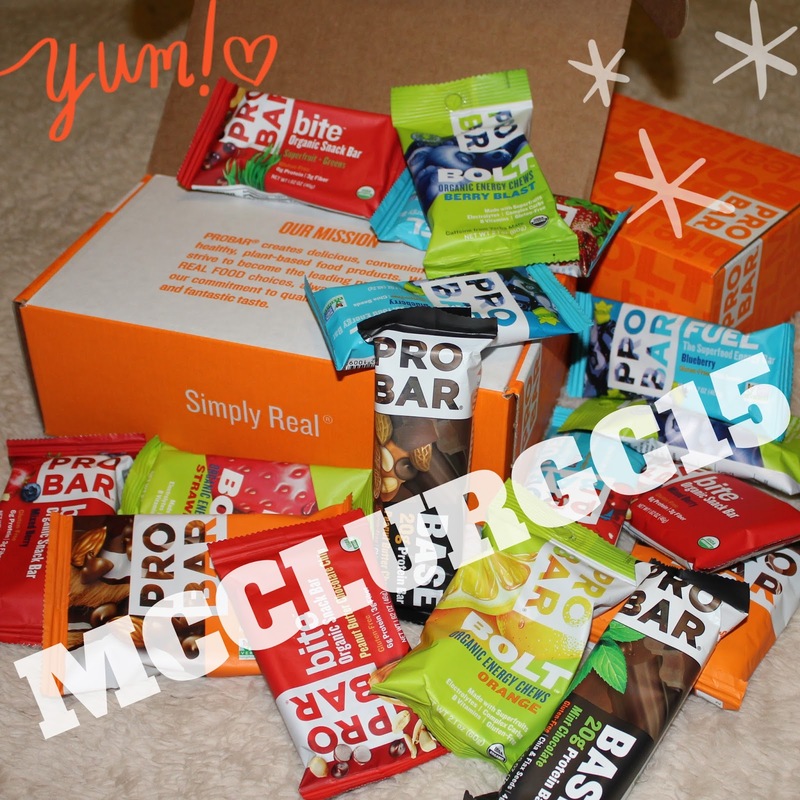 And just in case you want to order some BITE bars (or anything else for that matter) from the PROBAR website, make sure to use "MCCLURGC15" to save 15% off your order!! Have you tried PROBAR BITE Bars before?